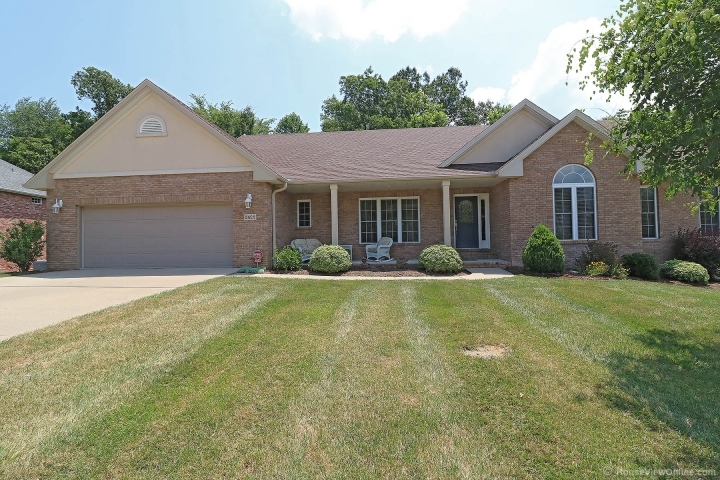 Spacious Full Brick Ranch Home located in a desirable established neighborhood in Cape. From your covered front porch, enter the foyer. The formal dining room is off to the side with an attractive tray ceiling and crown molding. A corner wall provides this room an appearance of separation yet provides openness to the main level living room. The living room, with high ceiling, has as focal points a gas fireplace outlined in stone and built-ins and four floor to ceiling windows providing ample lighting and view to your private backyard. The kitchen has ceramic flooring, a large island and includes all appliances. Off the kitchen is a separate laundry room providing more cabinets (including pantry) and a pop up ironing board handy kept in a drawer. A large coat closet and half bath is off the kitchen as well. In addition to the formal dining area, there is breakfast area. A dedicated office is located off the breakfast area with a pocket door to keep this room private when need be. Off the breakfast area, is nice two-level deck. One level holds a hot tub (2012) that is included. Down the hallway, is three bedrooms along with two full baths. All three bedrooms have neutral carpet. The master bedroom has a spacious walk-in closet. The master bath has a jacuzzi tub, dual sink vanity, and separate shower. The full hallway bathroom has dual sink vanity and a tub/shower combo. The finished walk-out basement has a wall of windows to once again take in the view of your private lot. You can walk-out from here to your large patio. The family room with gas fireplace #2 (also outlined in stone) has recessed lighting and wet bar complete with a full-size refrigerator. There is an area to add a dining room table, foosball table, etc. Two glass doors open to a room currently being utilized as an art area. You could use this room as a play room, exercise room etc etc. At the other end of this level is an open area used as an attractive library area. There area two more bedrooms (making a total of 5) on this level, a full bathroom, and storage. Under the open stairway is an attractive pond feature. Lot has been nicely landscaped. 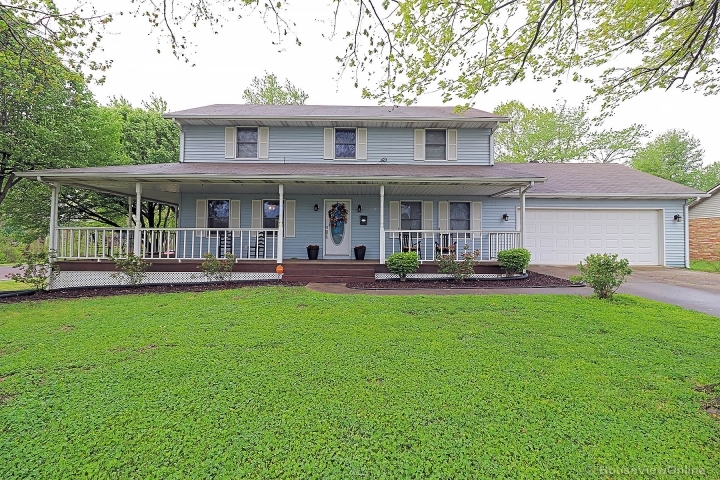 This home has been excellently maintained inside and out.